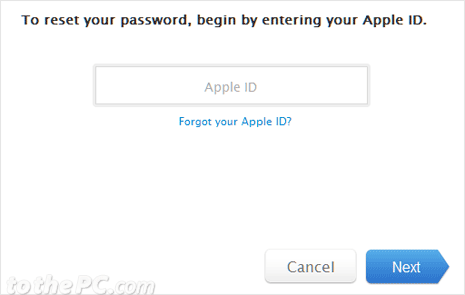 If you have created Apple ID account long time back, you are most likely to have forgotten its login password. You can easily recover password of your Apple ID account by resetting it to new password. After reset of Apple ID account password, you may edit or change Apple ID, name, email address and other account details. 1. Open Apple ID webpage on your computer. 2. Then click ‘Reset your Password’ option under ‘Already have an Apple ID?’. 3. Then enter your Apple ID and click Next button to proceed. 4. Then you should see “Select your authentication method” webpage. You may select among: Email authentication or security question method for authentication and password reset. If you select Email authentication method, you will receive email with confirmation link. Clicking that link will open webpage where you can enter new password for your Apple ID account. 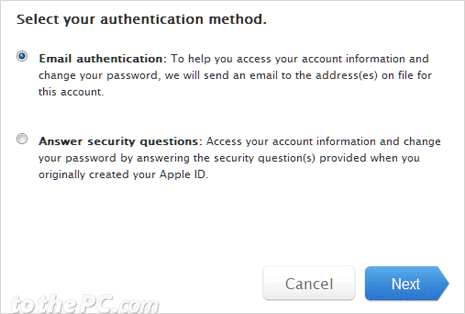 If you select security question method, you will be asked to answer security question selected at the time of Apple ID creation process.